Have you heard about an old saying, a dog is a man best friend? As it said, a dog is a loyal creature, brave companion, can be very cute and fluffy to cuddle with. Although the dog is such a loyal creature, they’re still animal, which means they still have their animal instinct inside them. Some animal instinct like self-defense could make a loyal dog bite anyone, even you aren’t people who are getting bitten, any other people could get bitten. It can be dangerous for anyone to get bitten, as dog bite can also develop into a complication that will require medical attention. In the United States alone, there is more than 4 million dog bite incident. The age of dog biting victim is various, but there are actually a lot of children getting bitten by a dog. A dog bite can develop into much more dangerous complication, at least one in five dog bites could develop into a harmful disease if didn’t treated properly and quickly. However, there are many myths and misconception surrounding dog bite, what will happen after the dog bite, and what should you do after that. From all around the world, there are countless rumors and misconception about a dog bite. Are you curious about what myth and misconceptions? Now we are here to tell you about 2 things you probably still believe to happen after a dog bite you. Many people think that dog bite can be very dangerous, and if don’t treat well it can become harmful for you. Although dog bite can be harmful, there are actually many misconceptions and also the myth surrounding dog bite. Why dog bite you? And what will happen after a dog bite? How you treat it so there is nothing bad happened after a dog bite? Well, we are here to answer every question here to make sure you are well informed and ready to become the best dog owner for you and your lovely pooch. Yes, just like we said earlier even with the newest technology, medications, and veterinary knowledge, there are still people who believe in many myths rather than the medical facts. A dog bite isn’t a good thing, and many people fear that dog bite could give you a lot of trouble. However, there are still many myths of dog bite we shouldn’t believe in the first place. What will happen when a dog bite you? Let us debunk any myth, separate any myth from the fact, and make sure you get the correct medical facts of a dog bite. Without any more delay and chitchat, let’s get started then. Rabies is very notorious and maybe one of the dog diseases you know about. Rabies can be a deadly disease, and they also have a mysterious nature. Because there is a lot of misconception surrounding about rabies, and many people have a little knowledge about rabies, they tend to relate any dog biting incident with rabies. It is true, that rabies could make any dog infected by it will turn into rabid, tend to be aggressive, and bite anyone near them, but it doesn’t mean that any dog biting incident is caused by the rabid rabies dog. Rabies, however, has a very low incident in this modern days with only one case of rabies found in the United States. Thanks to the famous rabies outbreak that make rabies is famous with deadly disease related to a dog bite, any dog biting incident will be related with rabies, medical treatment seeking will revolve around rabies, the dog will get quarantine for rabies checking, and so on. The myth here is dog will bite mostly because of rabies only. Yes, it is true, that rabies can cause any dog to be rabid and aggressive, but a bite from a healthy dog, with no infection of rabies virus, won’t transmit a rabies disease. After a dog bites them, many people are still thinking that they will contract a rabies disease. This is however not entirely true. Not every dog is infected by rabies virus, in fact there is a very small number of rabies virus in the world, and we nearly eradicated rabies virus thanks to the efforts of vaccinations and medication, Although the stereotype and the myth are already spread, most of the people still thinking that you will likely get rabies disease from dog bite. There are many other reasons why a dog will bite you. The most logical reason for why dog bite is that you threaten them, and they have to defend themselves. If you provoke a dog, then you might as well getting a bite, even you already know well about the dog. Many new dog owner who has a new dog complaining about how their dog keeps biting on them. 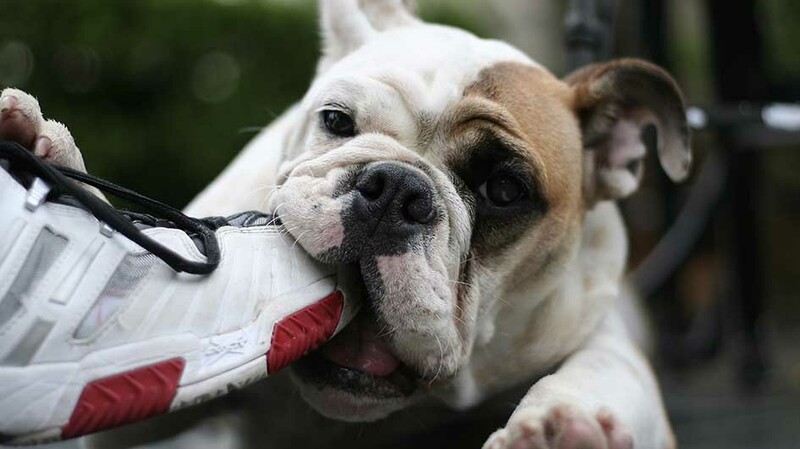 If your dog seems to have a tendency to bite, and quite aggressive, might as well check out on our article on dog training today. There are still many myths and misconception about what will happen after the dog bite, and most people will think that they will get rabies if bitten by a dog. Rabies is actually very rare disease today, with at least less than five cases of rabies happen last year in the United States, less than 500 cases of rabies in the world, with very low fatality rate, Although rabies becomes outbreak in many rural areas such as India and Pakistan though. Did our article on 2 things you probably still believe to happen after a dog bite you help you today? If yes, then leave a like, comments and opinion. If you happen to know much other myth from your area, let us know it by sharing here.